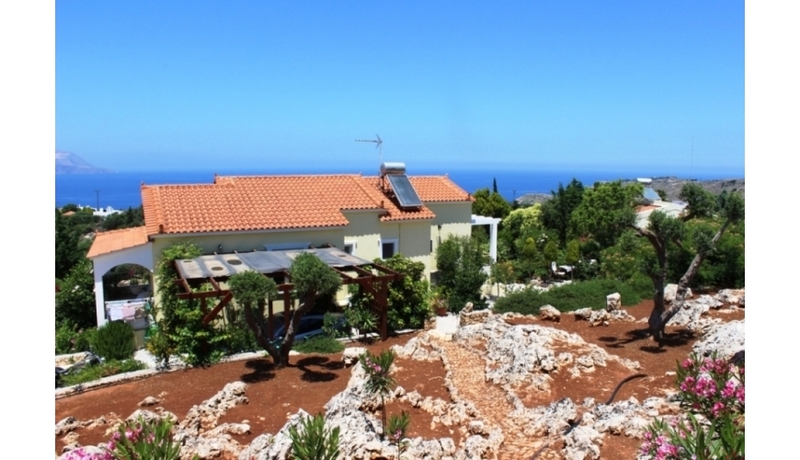 Located on a large private plot of nearly 3000 M2 in Kokkino Chorio, this is a beautiful 4 bedroom property and private pool set within stunning landscaped gardens. 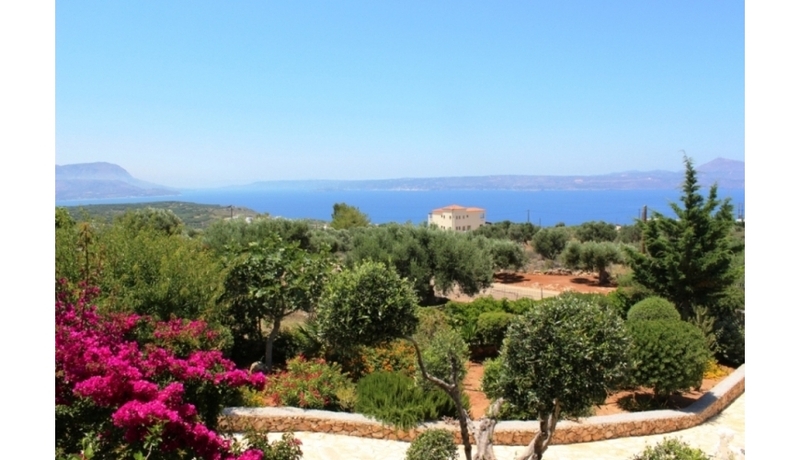 This large property is in a great location just a short drive from the popular local villages, beach resorts at Almyrida and Kalyves and very close to nearby Koutalas Beach and Cove. 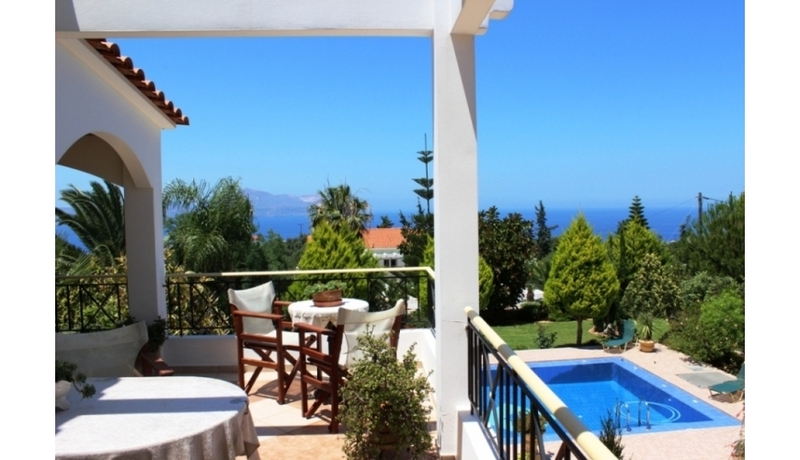 The villa has stunning views to the sea at Souda Bay and also across to the beautiful White Mountains. 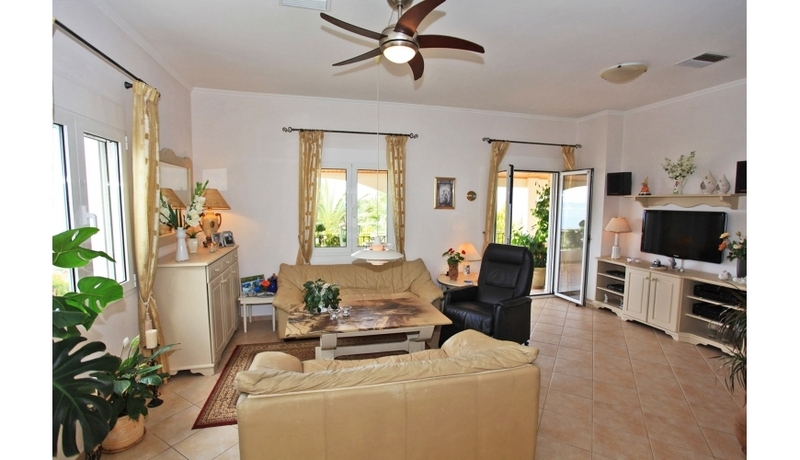 There is also large and separate guest accommodation. 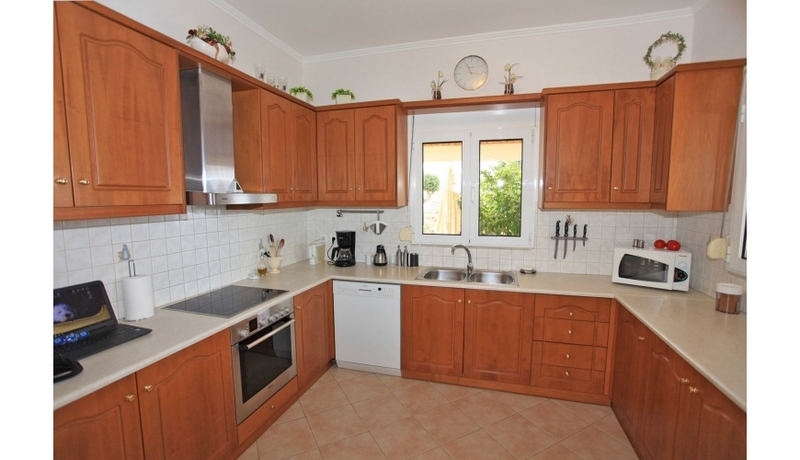 It is perfect for both holidays and full time living and has plenty of space for friends and family. 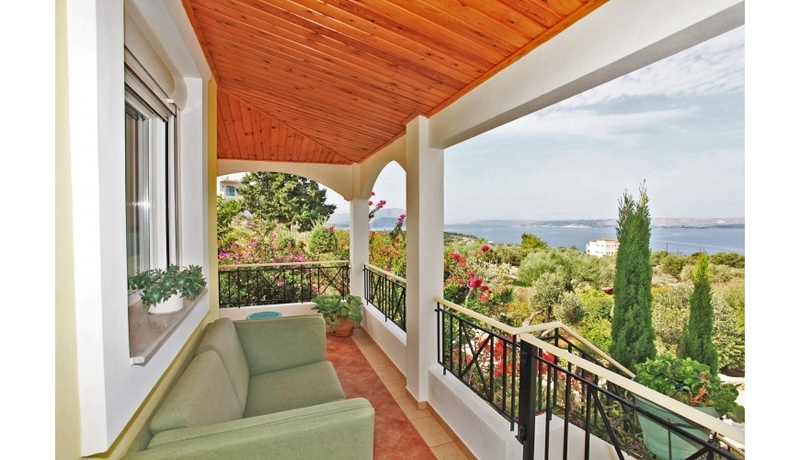 This wonderfully located villa was completed to a high standard in 2003 by a reputable local Greek builder. 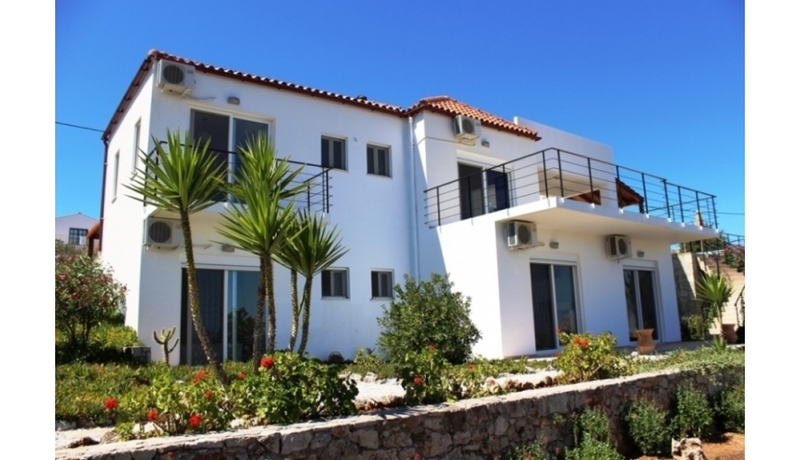 The villa is situated off a tarmac road and is just a short drive to both of the village centres at Kokkino Horio and Plaka and also the Blue Flag Beach resort of Almyrida. 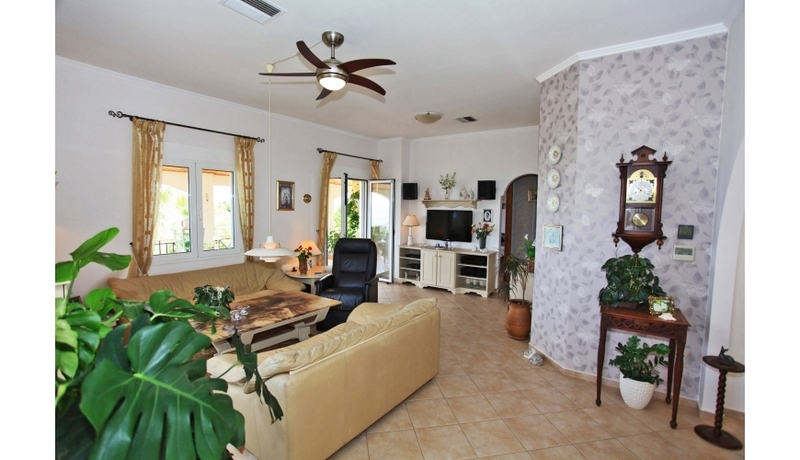 The main living accommodation is located on the upper floor of the villa. The large living area, dining area and fully fitted kitchen area are separated by traditional archways. As a result, it feels extremely spacious and has an open plan ‘feel’. The fully fitted kitchen has high quality built in appliances and further doors lead from the dining areas to outdoor terraces and verandas. There are 2 bedrooms on this floor. The large master bedroom has a good sized en-suite shower room, fitted wardrobes and its own covered patio area. The 2nd double bedroom is currently used as and office and there is also a separate fully tiled shower room. The lower floor is a fully self contained ‘apartment’ - with a large living/sleeping and dining area, fully fitted kitchen, beautifully tiled shower room and 1 large double bedroom. This is perfect as extra space for both family and friends. 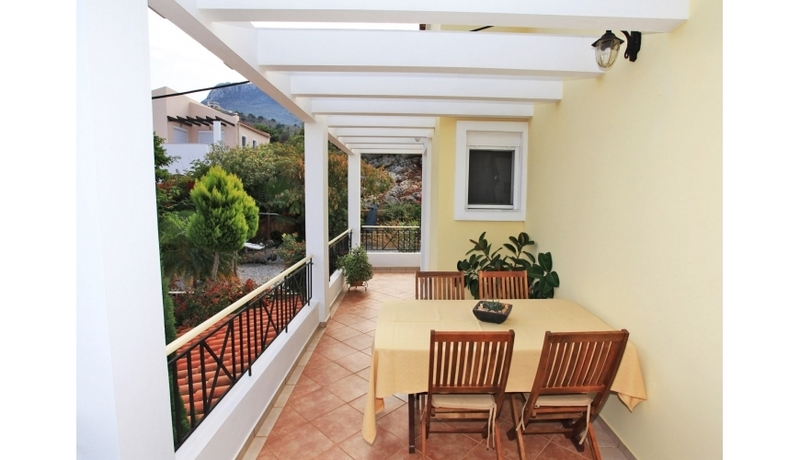 The villa also has a covered car port, plenty of additional parking space and separate boiler and storage rooms. The pool area is extremely well designed and finished. 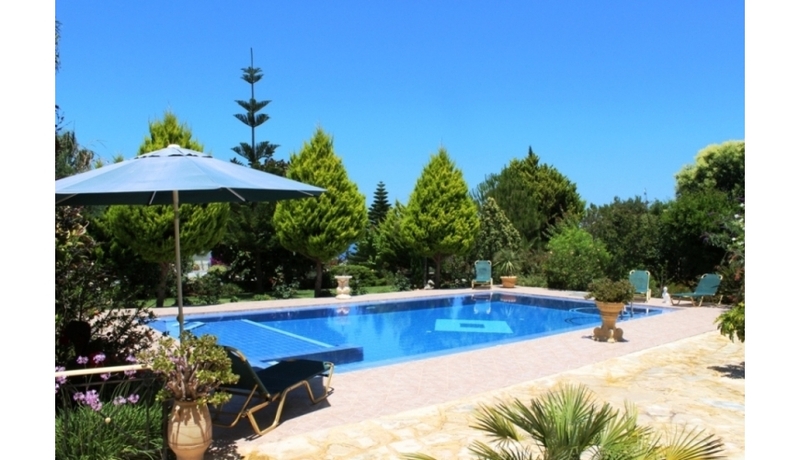 The fully tiled 50 M2 pool has Roman steps and extensive terracing around for soaking up the sun. 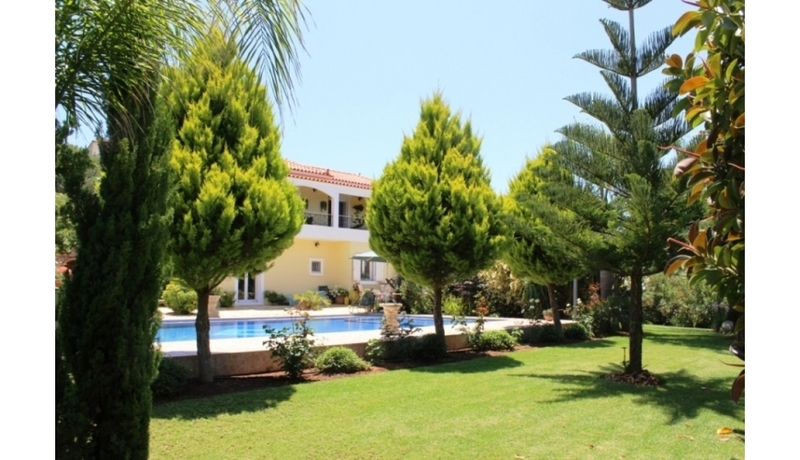 There is a built in grill/BBQ area and the surrounding trees and wonderful gardens ensure plenty of privacy. 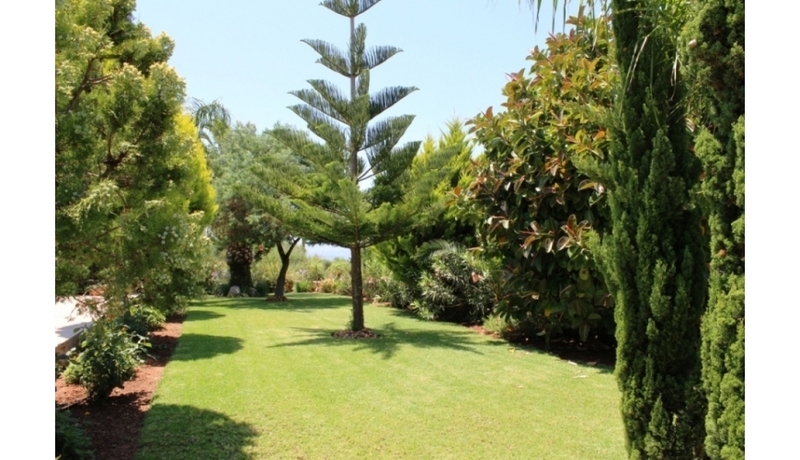 The whole plot is wonderfully landscaped with a wide variety of many fruit and olive trees, lawns, plants and flowers — plus rockeries and lots of private and secluded outdoor seating areas. This is a stunning area to sit and enjoy. 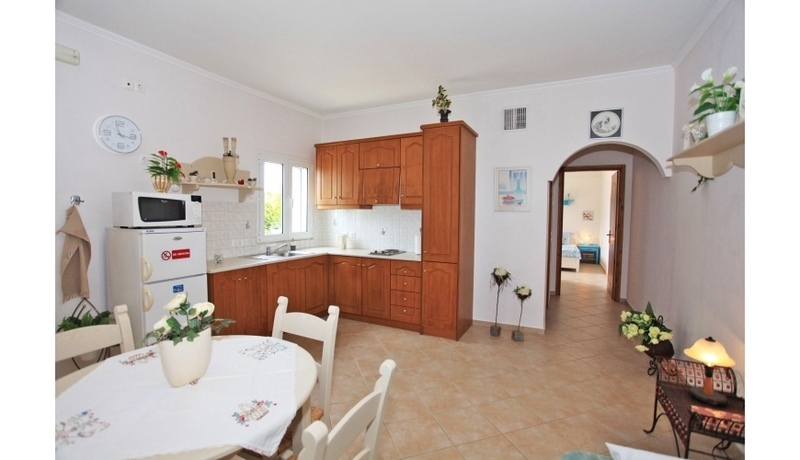 This lovely villa is in excellent condition and would make both a beautiful family holiday home or could be used as a luxury holiday rental investment. 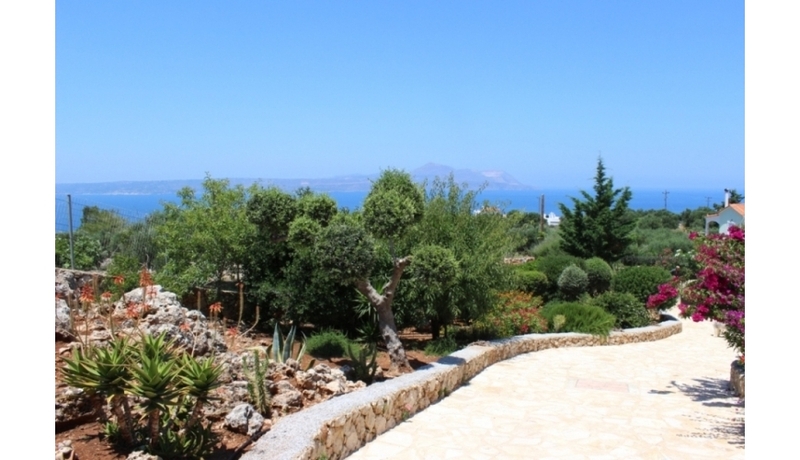 There is extra building permission available on the plot allowing For either an extension of the villa or the building of additional separate accommodation.